Drag Cable Lubricant was originally formulated as a barrier rope lubricant for dragline drag ropes where external abrasion is the primary cause of rope damage. When initially applied, however, Drag Cable Lubricant also provides excellent rope penetration, protecting inner strands against corrosion and rubbing friction, the primary causes of damage to dragline hoist ropes and shovel hoist and crowd ropes. Drag Cable Lubricant is a multipurpose rope lubricant satisfying the performance requirements for the general lubrication of dragline and shovel running wire ropes. 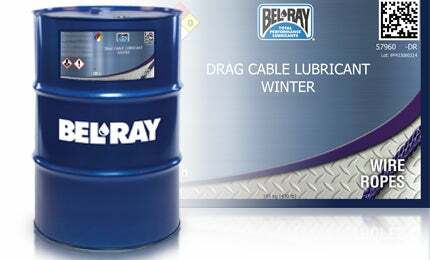 Drag Cable Lubricant also provides maximum protection of sheaves, drums and fairleads.